Syringe is the most common form of insulin delivery, but there are other options, including insulin pens and pumps. People diagnosed with type 1 diabetes usually start with two injections of insulin per day of two different types of insulin and generally progress to three or four injections per day of insulin of different types. The types of insulin used depend on their blood glucose levels. Studies have shown that three or four injections of insulin a day give the best blood glucose control and can prevent or delay the eye, kidney, and nerve damage caused by diabetes. Checking your blood glucose and looking over results can help you understand how exercise, an exciting event, or different foods affect your blood glucose level. You can use it to predict and avoid low or high blood glucose levels. You can also use this information to make decisions about your insulin dose, food, and activity. 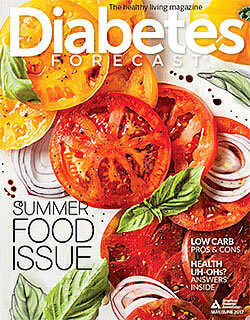 For more information, see our Blood Glucose Control section. Many people who take insulin use a syringe, but there are other options as well. Some insulin pens contain a cartridge of insulin that is inserted into the pen and some are pre-filled with insulin and discarded after all the insulin has been used. The insulin dose is dialed on the pen, and the insulin is injected through a needle, much like using a syringe. Cartridges and pre-filled insulin pens only contain one type of insulin. Two injections must be given with an insulin pen if using two types of insulin. Insulin pumps help you manage diabetes by delivering insulin 24 hours a day through a catheter placed under the skin. Read more about insulin pumps. The place on your body where you inject insulin affects your blood glucose level. Insulin enters the blood at different speeds when injected at different sites. Insulin shots work fastest when given in the abdomen. Insulin arrives in the blood a little more slowly from the upper arms and even more slowly from the thighs and buttocks. Injecting insulin in the same general area (for example, your abdomen) will give you the best results from your insulin. This is because the insulin will reach the blood with about the same speed with each insulin shot. Don't inject the insulin in exactly the same place each time, but move around the same area. Each mealtime injection of insulin should be given in the same general area for best results. For example, giving your before-breakfast insulin injection in the abdomen and your before-supper insulin injection in the leg each day give more similar blood glucose results. If you inject insulin near the same place each time, hard lumps or extra fatty deposits may develop. Both of these problems are unsightly and make the insulin action less reliable. Ask your health care provider if you aren't sure where to inject your insulin. Too much insulin or not enough? High morning blood glucose levels before breakfast can be a puzzle. If you haven't eaten, why did your blood glucose level go up? There are two common reasons for high before-breakfast blood glucose levels. One relates to hormones that are released in the early part of sleep (called the Dawn Phenomenon). The other is from taking too little insulin in the evening. To see which one is the cause, set your alarm to self-monitor around 2 or 3 a.m. for several nights and discuss the results with your health care provider.